Need a trusted commercial electrician Long Beach? Our licensed contractors are local to the area and help LBC area businesses from Belmont Shore to Bixby Knolls with their commercial and Industrial electrical projects. Alexander Electric can handle all your electrical projects and with 10 plus years of service here in Long Beach there’s no project big or small we can’t handle. Testing, repairs and maintenance are key to keeping your electrical system safe and up to proper code. From installing new main and sub panels to rewiring new high voltage equipment our licensed electricians make sure your project managed from start to end safely and securely. Our contractors and master electricians are also certified and licensed which means your business can feel safe knowing you have an electrical contractor with the necessary tools, equipment and technical knowledge to safely complete your electrical work. From exterior security and parking lot lighting to interior track lighting and industrial fan installs and everything in-between call Alexander Electric to help. If you have a new construction project that requires a master electrician we also can help by being your site electrician. 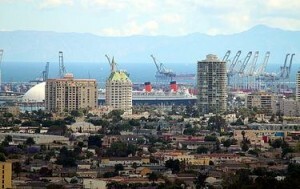 When in need of a commercial electrician Long Beach call Alexander Electric. Our honest and reliable electricians and certified contractors will offer the best solutions for your project. We have serviced LBC and the greater Los Angeles area since 2005. 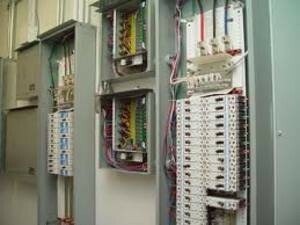 Our services include everything from panel wiring to heavy electrical equipment installations. Our contractors have all the proper tools and knowledge to fix, replace or design your commercial or industrial electrical project. We are here to help with your electricity needs. Call a friendly Alexander Electrician contractor or master electrician today to learn how our company can help with your power system. Use our easy contact for to reach out about our commercial and industrial electrical services. One of our contractors or master electricians will replay promptly to any of your questions or concerns. If you would like to speak directly with an Alexander Electrician call us locally at (562) 684-7269. For larger projects we can also tour your building to give a proper estimate for your electrical work.